of wind turbines caused them to flee their home in Sheffield in 2014. 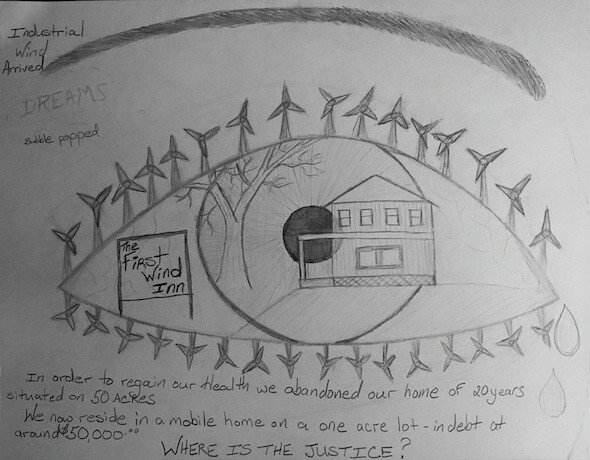 SHEFFIELD, Vt. — A Vermont home abandoned due to noise from local wind turbines is being turned into a research center to study the negative impacts of industrial-scale wind power projects. The Therrien family property in Sheffield has been the epicenter of a debate regarding the adverse effects of wind turbines. Now it will become a dedicated research hub to study the noise, vibrations and environmental impacts of 16 418-foot-tall nearby turbines known as Vermont Wind. “We are going to solicit universities and research institutes to conduct studies, and we are going to make the property available to them,” said Mark Whitworth, board president of Energize Vermont, an environmental group that advocates for small-scale renewable applications. 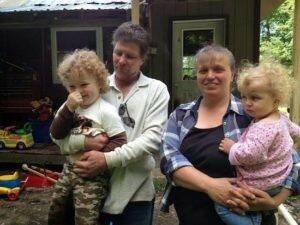 The Therriens abandoned their home in 2014 after living there for two decades because they said the sound and vibrations from the power plant were causing sleepless nights and health problems. When the property recently went up for tax sale, Energize Vermont seized the opportunity to pay off the family’s back taxes and made an agreement to use the property for research purposes. Steve Therrien, the former owner of the home, said he believes the center will provide a valuable service to all Vermonters. in Derby to get away from 16 418-foot-tall wind turbines built near their home. “We certainly can’t get the wind companies to do the right thing for the towns. It’s a push in the right direction, with all of the other (wind turbine) projects that they are trying to put in,” Therrien told Watchdog. Whitworth agreed that something needed to be done. Energize Vermont has named the facility the Vermont Center for Turbine Impact Studies. In addition to conducting research on the turbines’ impacts on residents, wildlife and the environment, the center’s research teams will also assess the performance of state regulators in their efforts to monitor and enforce wind turbine standards. Another of Vermont’s Big Wind critics, Annette Smith, director of Vermonters for a Clean Environment, said she is pleased with the new research initiative. Whitworth noted that the owners of the Sheffield facility, SunEdison, a subsidiary of TerraForm Power, is bankrupt, and that the project has not met performance expectations since it was built in 2012, producing only 70 percent of developers promised. He added that another problem complicating matters is the turbines are no longer supported by their manufacturer. As the turbines fail mechanically, getting the right replacement parts will become increasingly difficult. Sue Minter, says wind power must be embraced as part of Vermont’s clean energy future. Therrien thinks the fight over wind power is going to have ramifications for Vermont’s gubernatorial election. 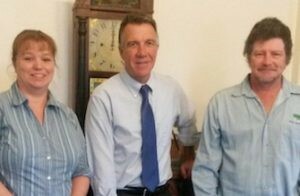 Republican candidate Phil Scott has called for a moratorium new industrial wind projects, whereas Democrat Sue Minter has said she will not let towns have veto power over industrial wind turbine projects. He said Minter’s strong support for giant wind power companies will cost votes. Therrien said while he thinks Republican Phil Scott is better on wind, he would still like to hear more from him on the issue. Posted on: 19 August 2016 . Tags: Energize Vermont, Sleep Disturbance.